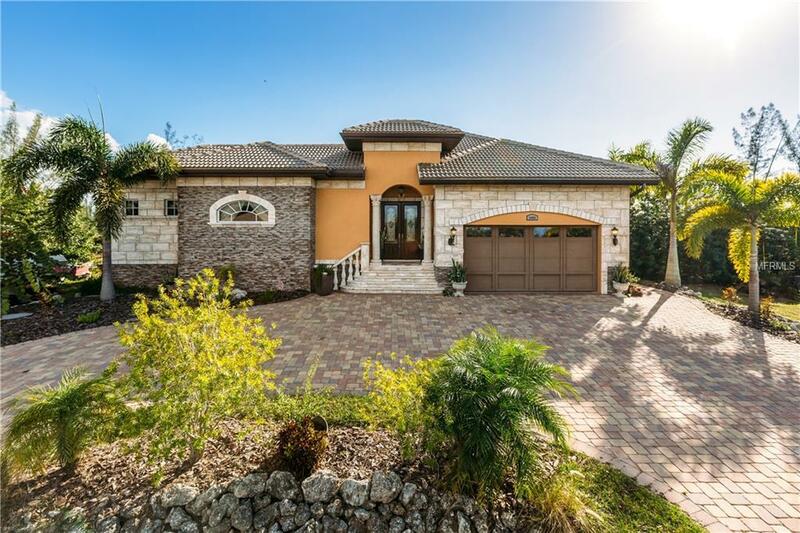 STUNNING 4 Bed, 3 Bath, 2 Car Garage custom home that sits on a Sailboat access canal and is move in ready! This gorgeous home offers an unbelievably open floor plan with high ceilings and tons of natural light. Included are many exterior upgrades such as impact windows, paver driveway, mature landscaping, stone, travertine tiles, 6 course stem wall, tile roof, outdoor porch, courtyard, pool and spa. 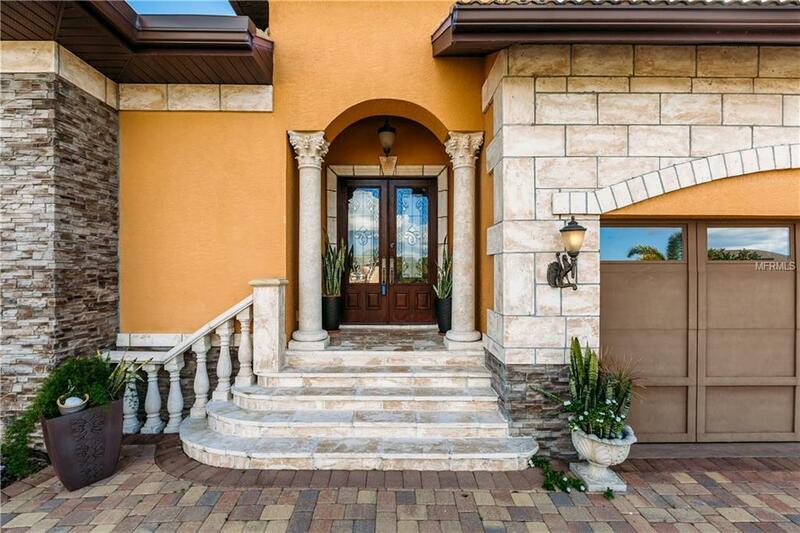 Inside you will notice the European/Mediteraan style with luxuriant upgrades such as crown moldings, granite, marble floors, built in entertainment center, cedar closet shelvings, upgraded lighting, sauna and more! The custom kitchen features high-end stainless steel appliances, wood cabinets, granite countertops and additional bar seating, which opens up to the family room. With a split bedroom floor plan, this home offers functionality and privacy. Enjoy a gracious master suite with two closets, double vanity sinks, walk-in tiled shower, and a jacuzzi. This home also boast in having a separate bedroom and bath away from all the bedrooms that can be used as a mother-in-law suite or guest room. 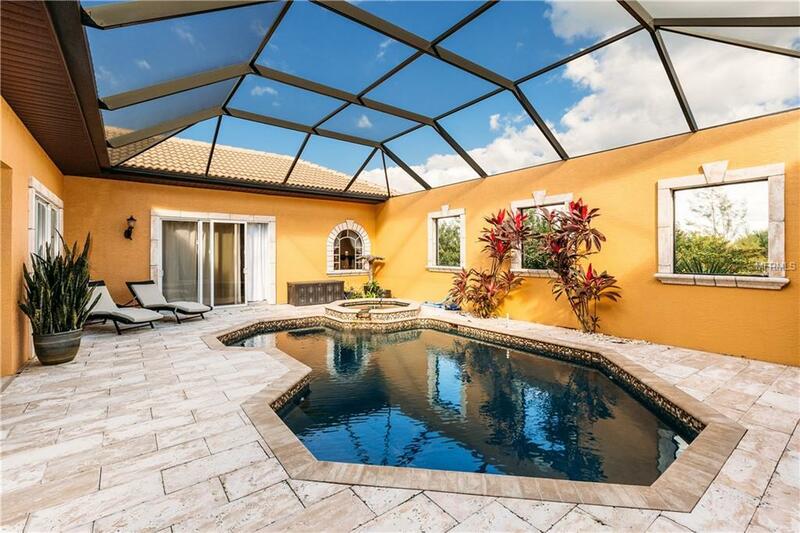 Located in the South Gulf Cove community and minutes to world famous Boca Grande and Manasota Key/Englewood beach, over 11 gulf courses, and also close to shopping, dining, decks and boating.Schedule a Showing Today and Have a Look for Yourself!